My physiotherapy career began in the NHS. 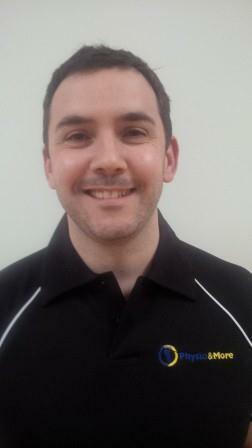 I completed a wide variety of rotations whilst beginning my specialism into musculoskeletal treatments. Despite the inherent challenges, I really enjoyed my time in the NHS, and I learned an incredible amount. Since this time I have worked extensively in private practice throughout South West London and Surrey. My experience to date has developed my expertise in treating a wide variety of clients and injuries. Clinically, I have spent my time assessing and treating those who simply work hard, the ultimate sport enthusiasts, and also elite athletes. Prior to physiotherapy, I gained my first degree in Sports Science at Loughborough University. Whilst working as a private personal trainer, I became very interested in the biomechanics of injuries, and more specifically, the effect people have upon themselves in their chosen activity. It would seem that in many cases a chosen sport may simply find a problem (that has been there for a long time) rather than cause the problem in the first place. This approach to injuries has developed a keen interest in clinical and sport biomechanics. Cycling has a very particular application of biomechanics from specific footwear to the full bike fitting procedure. To understand this sphere more, I became a qualified bike fitter, and I have developed an assessment procedure specific to cyclists, and to cater for their injuries. In my practice, I like to use my knowledge of exercise, biomechanics, and a wealth of manual therapy skills to both solve the problem, and keep it away. Whatever the problem may be, I will be with you every step of the way. 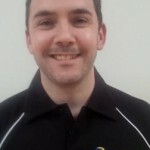 In addition to his role at Physio & More, Liam is a Consultant Physiotherapist at Parkside Hospital. To book an appointment with me please call the clinic on 020 8546 6464.